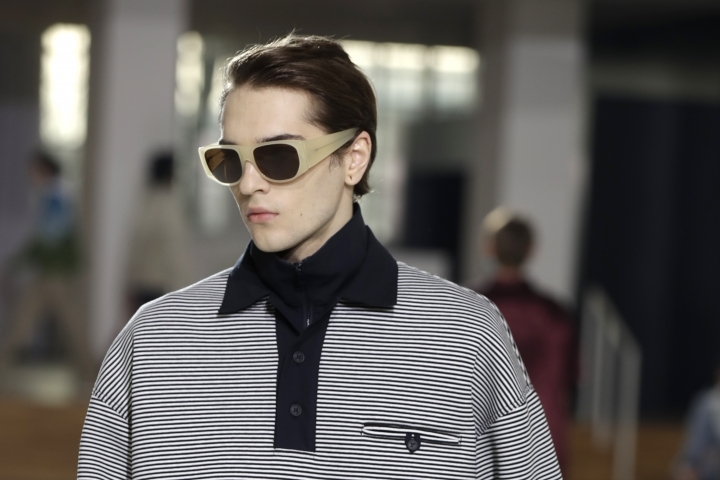 MILAN — Nowhere is the transition in the fashion world more evident than during the menswear preview shows in Milan taking place on the second of three days Sunday. 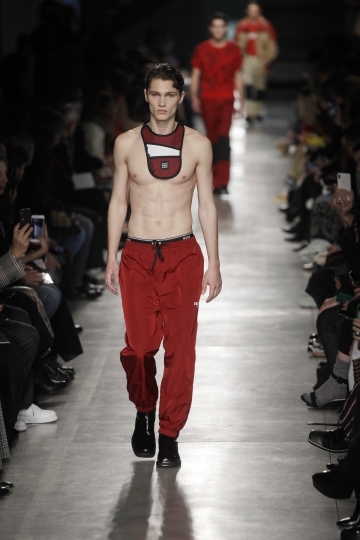 Only in Milan does three days make for a Fashion Week; the Paris menswear calendar claims a full six days. Designers cite a breakdown of fashion world rules. A strict four-week-a-year cycle once guided fashion capitals, covering menswear and womenswear and the spring/summer fall/winter calendars. Now, designers are deciding to invest elsewhere to grab consumer attention. 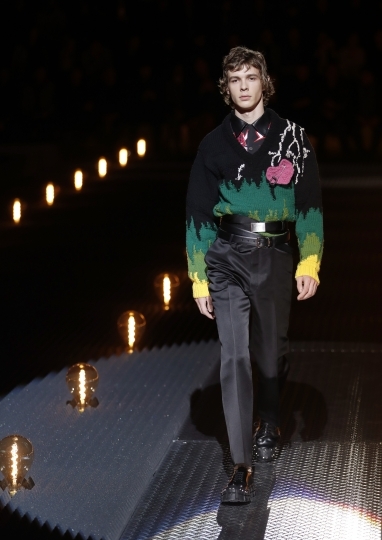 Gucci and Giorgio Armani are both skipping the menswear cycle for next winter in Milan and offering co-ed shows in February, while maintaining a presence this month with other events. 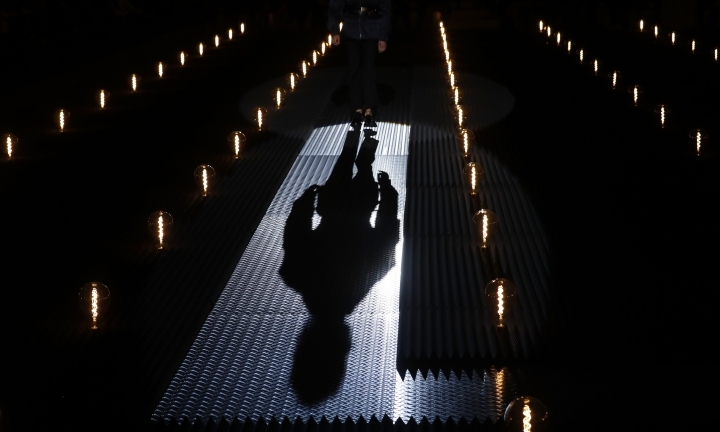 Armani opened an exhibit at his Silos museum of portraits by French photographer Charles Freger. Gucci is hosting a performance on the closing day at its Gucci Hub. 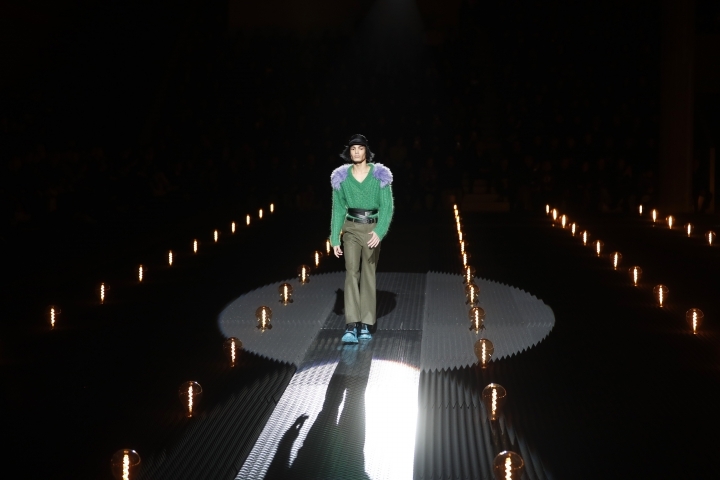 Miuccia Prada observes a world becoming more "difficult, dangerous, boiling" and interpreting it through fashion. Her latest collection had a strong military silhouette, but offset with whimsical details. 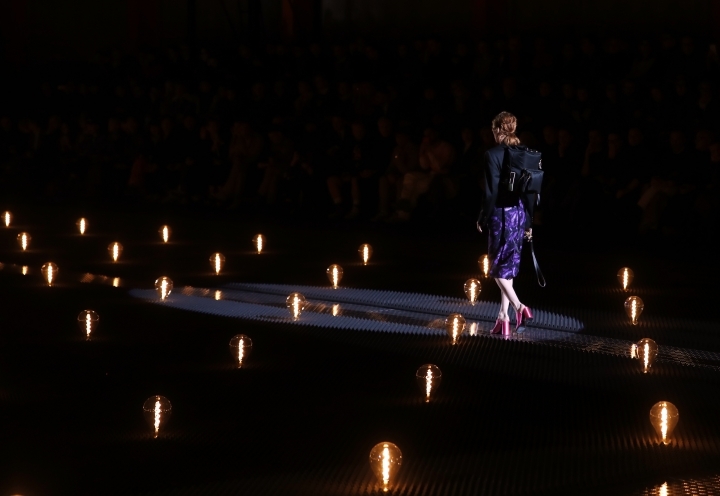 'It came out naturally," Prada said. "I didn't know that I wanted to do it, but the only thing I had in mind was military." 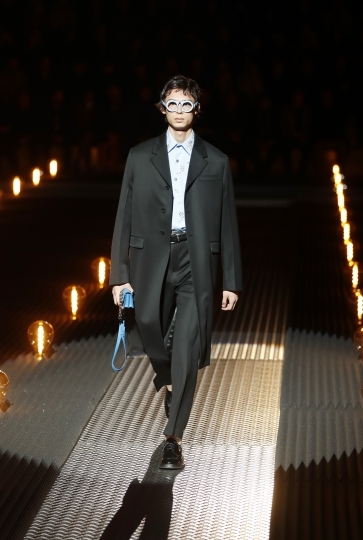 Prada's looks mostly were done in black and navy, starting with elegant men's suits first shown with the jacket casually opened, worn shirtless and having slightly cropped trousers that revealed bare ankles. 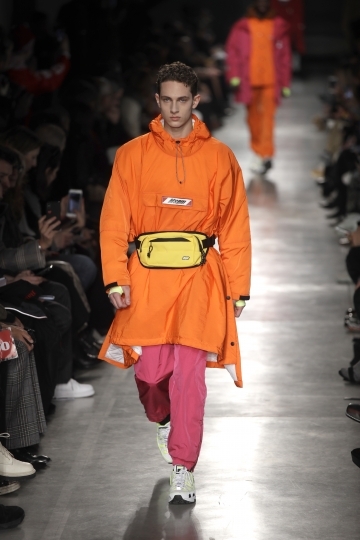 But the collection had more than one mood, alternating between the disciplined feel of double-breasted jackets fastened closed with a triple belt and the rock-and-roll of bare chests adorned with chunky male necklaces under open jackets. 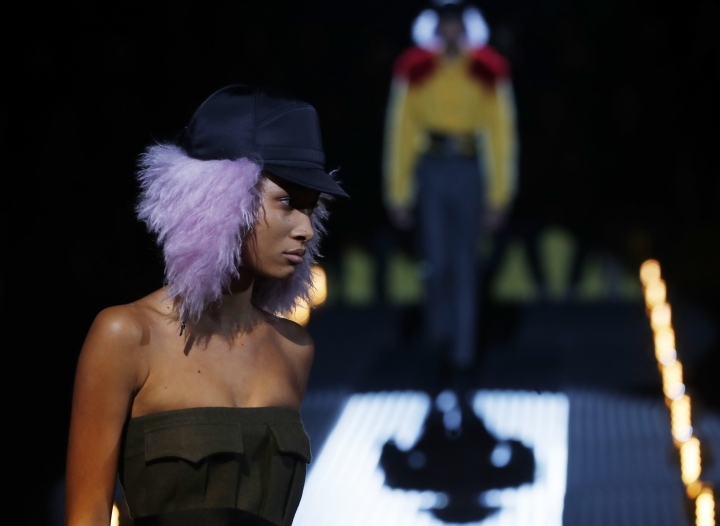 Ever playful, Prada softened the military looks with fuzzy, colorful patches on the shoulders, like epaulets, and tufts of colored fur accents peeking out of caps. 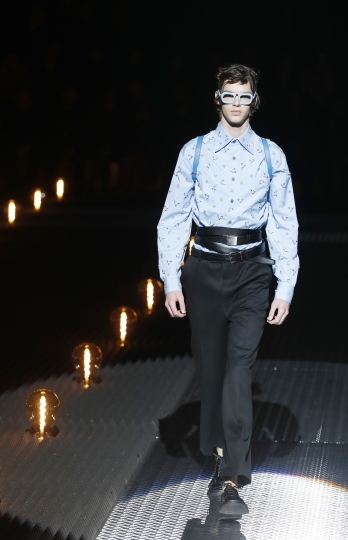 Prints on shirts included lightning bolts and beating hearts placed with anatomical correctness, Prada's nod to cheesy horror movies. The soundtrack included harder-rock versions of music from the "Rocky Horror Picture Show" and "The Addams Family." Prada said she wasn't necessarily a fan, but was fascinated that the writer who created Frankenstein's monster, Mary Shelley, initially had to publish under her husband's name. The designer punctuated the show with looks for women, including tailored suits with external bustiers, cocktail dresses with elegant necklines and romantic full skirts with crystal accents. 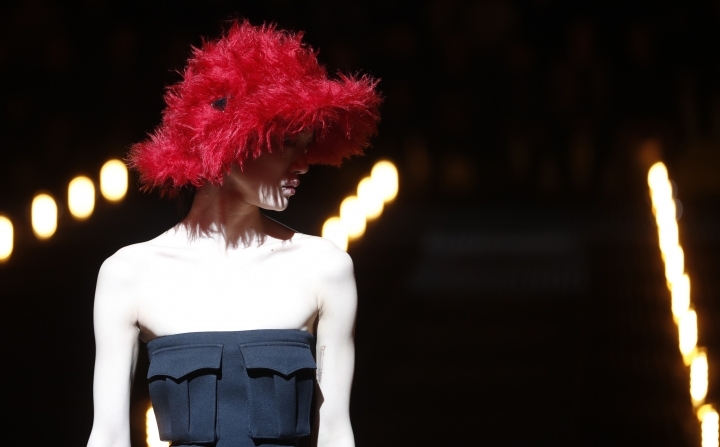 A cargo dress in fitted black was paired with a furry, red safari hat. 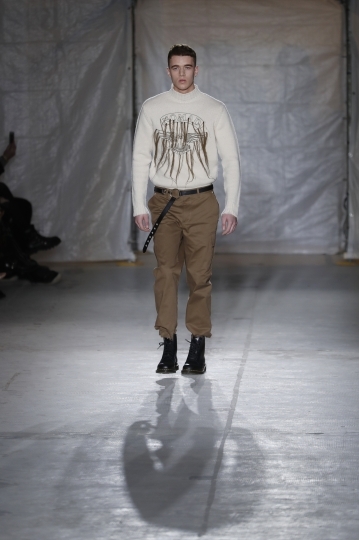 British designer John Richmond marked his return to the Milan fashion calendar with a co-ed collection featuring dark military looks for men and elegant 1940's starlet-inspired dresses for women. "It is almost two collections. I am not trying to do one thing that works for men and for women," Richmond said. Richmond embroidered Japanese tableaus on recycled military garments and bags for men and decorated recycled Levi's with sequined wings across the hips for women. "We don't have to make more jeans. There are already so many jeans in stock," he said. Women's dresses were extremely elegant, with pointy shoulders, deep V-necks and asymmetrical mini-hemlines. Richmond designed wedge boots with fringe detailing for women. For men, he stuck to the tried-and-true Doc Martens footwear. 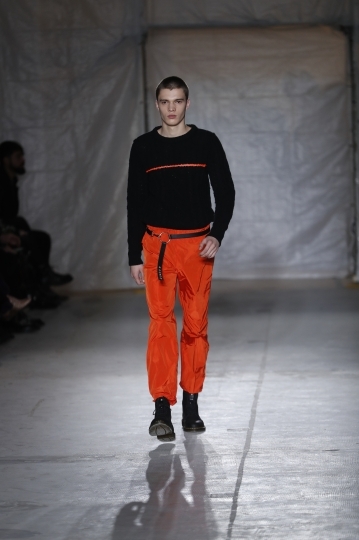 The designer said his exhortation to reuse, recycle and reduce is not a one-off for this season. "This is a theme forever," he said. Richmond said the rule book in the fashion world has been thrown out. "Instagram primarily has changed the landscape," he said. "We can't turn back the tide. We have to accept it and enjoy it and make it work." 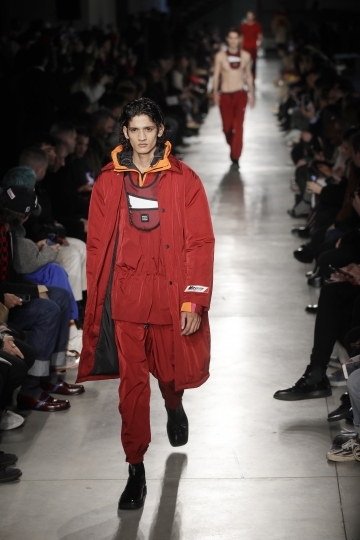 The designer showed menswear and womenswear collections that he already started selling at the beginning of the year, grabbing buyers' attention early. 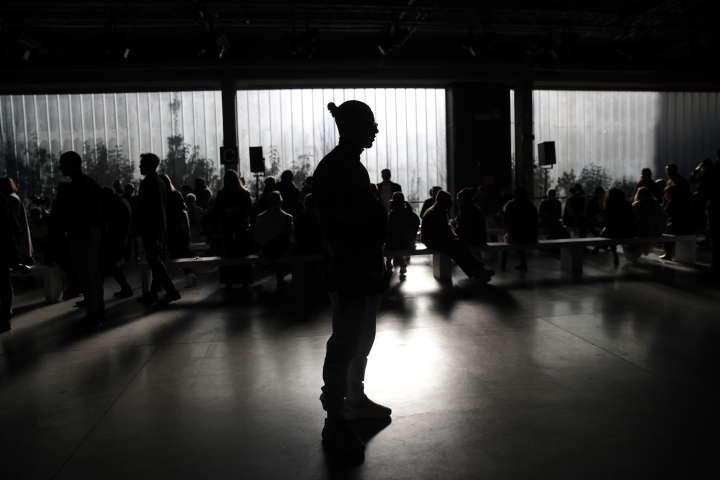 Consumers want the runway garments they see on Instagram immediately. By the time womenswear shows come around next month "it's too late. Some buyers aren't coming back anymore," said Richmond, who splits his time between Naples and London. "Maybe in the future we will have shows that are more in season," he speculated. Some brands already are experimenting with the fashion calendar by offering see-now, buy-now capsule collections. Sunnei, the 4-year-old brand founded by Italian Simone Rizzo with French designer Loris Messina, is growing up. 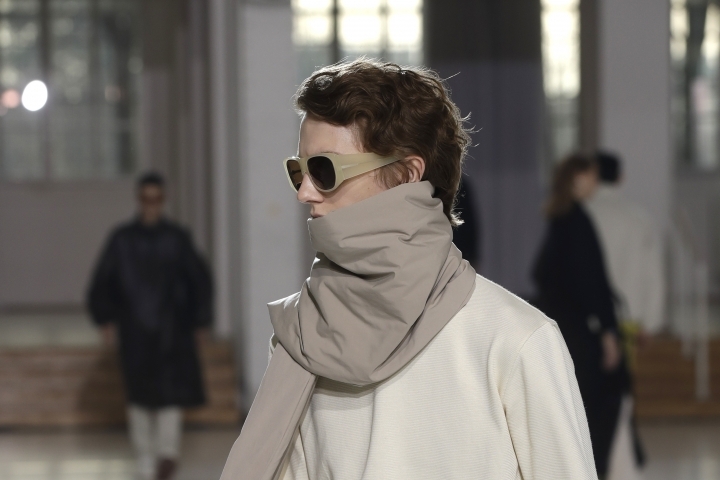 The brand's first fully co-ed collection featured an oversized wintery silhouette, with enveloping knitwear, sophisticated layering and entwining scarves, clashing at times with body-hugging dresses. "Above all, we stopped being too nice," Rizzo said backstage. "There was always this vein of sarcasm. We said enough." For women, a pretty sky-blue shirt cinched at the waist and featuring a sheepskin turtle neck was worn over a gray Bermuda-length skort. With cold weather in mind, the pair layered pants under skirts. One silver sequin skirt was worn over lightweight wide-legged trousers, with a lemon yellow Henley top. 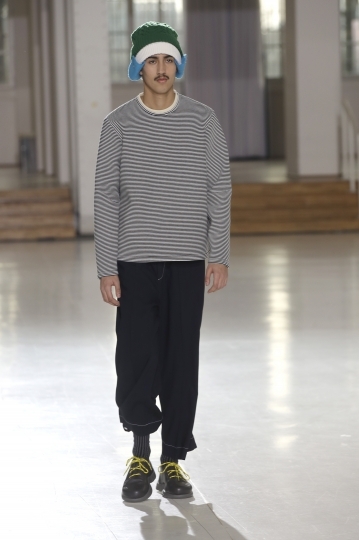 Menswear included a dramatic, oversized white cable-knit tunic with leather sleeves and detailing, worn with trousers cinched at the ankle. "There aren't even slogans or mottos (on the garments) anymore. In fact, there is a beautiful plain white shirt that symbolizes the idea we have now, " Rizzo said. 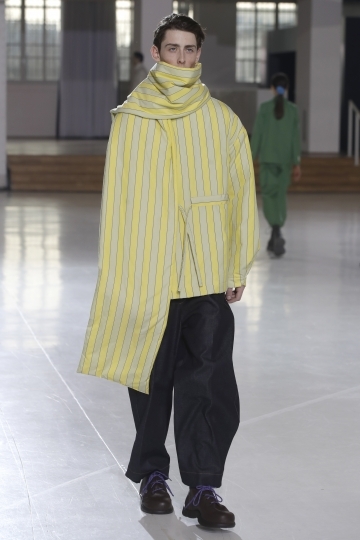 The collection also featured tailored outerwear for both genders. 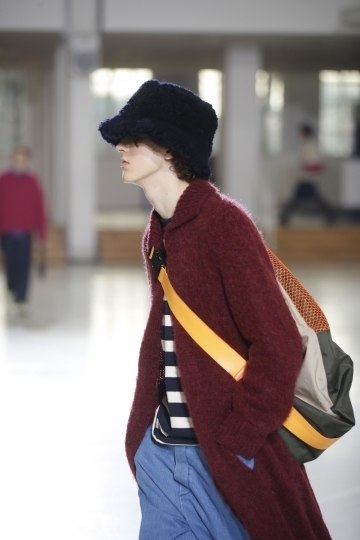 Looks were finished with double beanies with ear covers, leather and PVS bags and proprietary sunglasses. 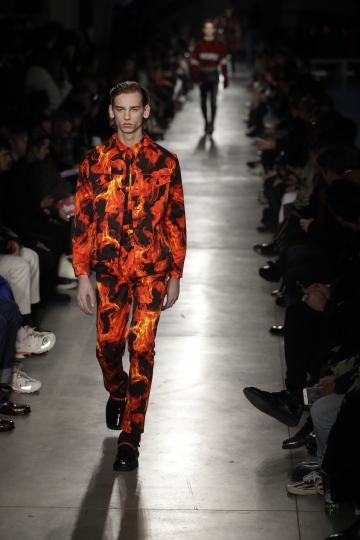 Massimo Giorgetti dedicated his menswear collection to race car drivers, showing vivid prints of flames, driving gloves and jumpsuits. Quoting former race car driver Mario Andretti, Giorgetti's invitation advised: "If you have everything under control, you are not going fast enough." Flames licked at the ankles of jeans worn with a turbo-emblazoned white T-shirt, then exploded on to a shirt-cut jacket and trousers. A Fair Isle knit blurred from orderly zig-zags and diamond-shapes into speedy waves, tucked into red leather pants with black stripes. Giorgetti's double-breasted overcoats weren't so stuffy they couldn't be worn with a hoody and layered with a furry parka. 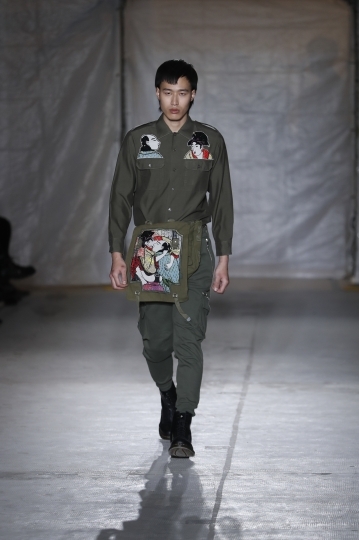 Bombers and overcoats featured manga cartoon prints. 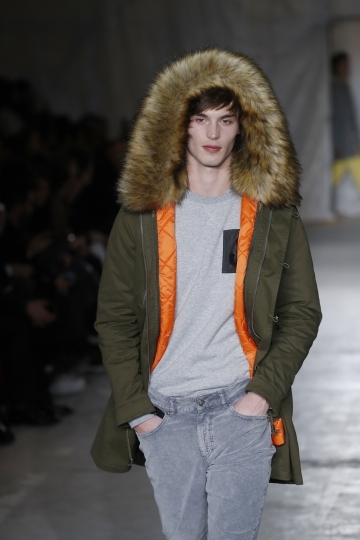 Washed-out denim jackets came lined with lambskin and paired with matching jeans. Giorgetti, who often takes inspiration from his native Italy, also celebrated Europe with the words Eur-Hope quilted into leather jackets or emblazoned on knitwear.